100 years ago, before Wainwright was even incorporated as a town, founder Adam C. Armstrong moved from North Gower, Ontario and opened A.C. Armstrong General Store on August 22, 1908. 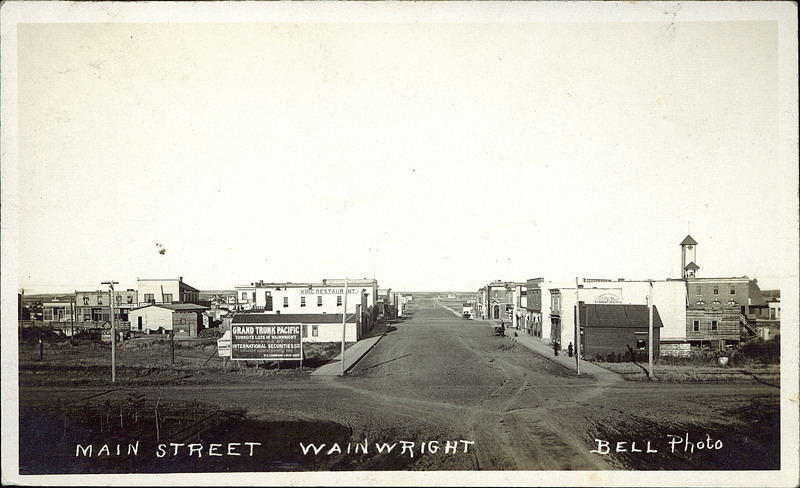 Carmen Coleman moved to Wainwright with his family in 1911, and in 1915 took a job as delivery boy and helper at the General Store. Carmen, later married Mary Isabella, A.C’s niece beginning a family legacy that would endure 100 years and five generations. Carmen, his two sons, Bill and Addie, and his daughter Margaret operated A.C. Armstrong Co. until 1965. After expansions in 1938 and 1952, in 1966 Bill and Addie moved the grocery section of the business to a separate location behind the Main Street location. Bill and Addie operated the two locations until 1976 when Addie retired and Bill’s sons, Norm and Allan, joined him as partners in the family business. In 1978 they expanded once again, and a new 25,000 square foot building was constructed at the store’s current location on 2nd Avenue.. Recently Allan Coleman retired, and Norm & Connie Coleman welcomed their daughter Margaret and her husband Marty Yurchak into the family business. While they no longer sell groceries, the store continues to offer quality, brand name men’s and ladies clothing, footwear, sporting goods, and now Traeger grills.